That's probably a lot of bulk paper towels. Costco reported fourth-quarter sales of $43.4 billion, with a profit of $1.04 billion, and said more shoppers are flocking into stores even as delivery options have grown. The Issaquah-based retailer also disclosed a possible security flaw in financial reporting systems. 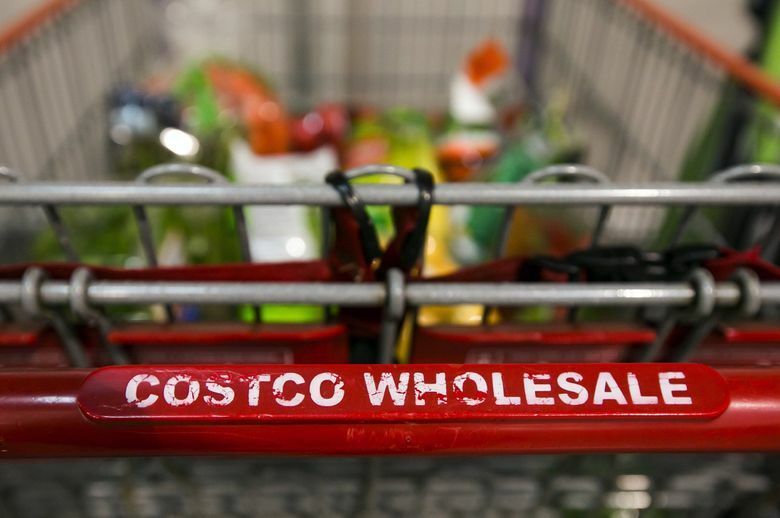 Costco reported strong financial results Thursday, while warning it had uncovered weak internal controls that could have allowed someone to gain unauthorized access to its financial reporting systems. There’s no sign that such access was abused or that any financial misstatements were made, said chief financial officer Richard Galanti, but “we should’ve fixed it.” The company is doing so now, he added. That seemed to satisfy financial analysts who had more questions for Galanti on Costco’s strong quarterly earnings report, its e-commerce business and the potential impact of the growing U.S.-China trade war. Amazon’s announcement Tuesday that it was raising wages for all U.S. hourly employees to a minimum of $15 also prompted a question about Costco’s wages in a tight labor market. Apart from competition for workers, Costco, like every retailer, is vying with Amazon for consumer spending in virtually every merchandise category. And while Costco continues to grow its e-commerce business, up 32.2 percent in the last fiscal year, Galanti doesn’t seem eager to do so at the expense of its traditional model. E-commerce represents just 4 percent of Costco’s sales, compared to gasoline, which accounted for 12 percent. “We don’t see e-commerce taking over our brick and mortar,” Galanti said. It has helped grow specific categories such as patio furniture, which the company used to stock in its stores only seasonally and now sells online throughout the year. Costco last year also began offering same-day and two-day delivery of food items. But it still wants to make sure it’s enticing shoppers into one of its 762 stores where they’re more likely to come in for a rotisserie chicken – which it’s building a $300 million plant in Nebraska to supply – and leave with a big-screen television. Store visits increased 4.9 percent during the company’s latest quarter. “We don’t want you to get comfortable with just shopping at Costco online unless there’s not a Costco within 100 miles,” Galanti said. While Amazon is the everything store, attracting customers in part through an endless selection, Costco’s assortment is significantly smaller. That, said Galanti, is an asset that concentrates the company’s already enormous buying power when it comes to negotiating prices with suppliers, particularly as retailers gird for a trade war with China. Galanti said Costco is accelerating imports of Chinese goods before tariffs take effect and is looking for suppliers in other countries when possible. Meanwhile, Costco is preparing to enter the Chinese market with its first store, in Shanghai, set to open in about a year. The company opened 21 new stores in its just-ended fiscal year, and plans a similar number of new stores next year. Costco posted fiscal fourth-quarter sales of $43.4 billion, up 5 percent from the year-earlier quarter, and profit of $1.04 billion, up 13.5 percent, or $2.36 per share, meeting analyst expectations and marking continued momentum for the company. The quarter ended Sept. 2 included 16 weeks, compared to 17 weeks in the year-earlier period. For the full 2018 fiscal year, Costco brought in $138.4 billion in sales, up 9.7 percent from the prior year, which included an extra week. Full year profit of $3.13 billion was up 17 percent from the 2017 mark and worked out to $7.09 per diluted share.